Dr.Akhil S Halkude: Hard work and belief…smart study more than whole study. DAMS Regular course was key of my success. Dr.Akhil S Halkude: It was my childhood dream…speech of Dr. Sumer Sethi sir is most inspirational thing for any pg student. He is best in PG arena. Dr.Akhil S Halkude: Yaa, daily..see, so much of study ..so much to cover, you tend to doubt yourself on daily basis..but you must remember one thing ..self belief motivation is important…keep yourself from all distractions this year and your life will be awesome..
Dr.Akhil S Halkude: I didn’t have time to read theory part .because in internship I didn’t study ..I started preparing in March, so didn’t have time for theory part, but I read Lippincott for Biochem.. other theory part was my UG knowledge..and then all DAMS Notes in class and guide books except across..
Across is least useful book..read only Anatomy and Biochem from it. Dr.Akhil S Halkude: Arora for SARP, Arora for Ortho, ENT, Dr.Ruchi Rai for Opthal..Rachna for Micro…Garg for Pharama and Patho….AA for Medicine Surgery..Dr.Sumer sir for Radio..Accros for Anatomy only…. Dr.Akhil S Halkude: DAMS was most imp..today my whole success is due to DAMS..joining DAMS Regular course was best decision till date..Teachers are so awesome..inspirational…DAMS have such awesome planning..
With everyone taking sincere effort in DAMS faculty it has become best institute for coaching..DAMS don’t have competition in pg preparation. They have all bases covered..
Dr.Akhil S Halkude: You must give multiple exam..you never know which day your luck will strike and giving multiple exam will sharpen your skills and minimums mistake provided that you should recall questions and see their right answers. You require a little luck to get into top 100..luck won’t be same on each exam day.. so better give multiple exams. If you are thorough all subjects you don’t need to read Medicine…only AA Mudit Khanna 10 yrs paper..for medicine. Dr.Akhil S Halkude: Attack every question as negative was 0.1……most imp be calm and stable in exam..if you panic you will be at loss..before any exam 10 days you should not read any new things,, Just revise your strategies notes and weak points. Lets see what I will get in counselling. Dr.Akhil S Halkude: The most important king of pg preparation Dr. SUMER SETHI. He is BEST speaker till date..
His words are very motivational..inspiring and most imp in right path. Dr.Anupama madam..She is Simple and very helpful. Her Physio notes are more than sufficient. You don’t even need to go for across..
Dams is really key for success..if u attend all classes well and if you pay attention ..your more than half portion will get covered by listening in class only. Make it habit of completing subject in that week only..when short subject’s week comes ,utilize that week to revise previous major subjects. Dr.Tuhin Mitra: I guess it is a combination of hardwork & luck. Dr.Tuhin Mitra: A lot, I had doubts in myself many times during my preparation without their support I wouldn’t have cracked it. Dr.Tuhin Mitra: Since I am from a all engineer’s family, I wanted to be different & pursued Medicine. Dr.Tuhin Mitra: Yaa I had doubt but again support from family & friends kept me steady. Dr.Tuhin Mitra: Harper for Biochem, Ganong for Physiology, Robbins-Pathology, KDT-Pharma, Harrison-Medicine. Dr.Tuhin Mitra: AA, MK, Govind Rai Garg, Rachna Chaurasia, Micro, Across. Most productive AA, MK, Least-Across. Dr.Tuhin Mitra: I joined DAMS in pre final year, which made me aware of the topics in competitive examination & then the test series which had both NEET pattern & old pattern questions that helped a lot. 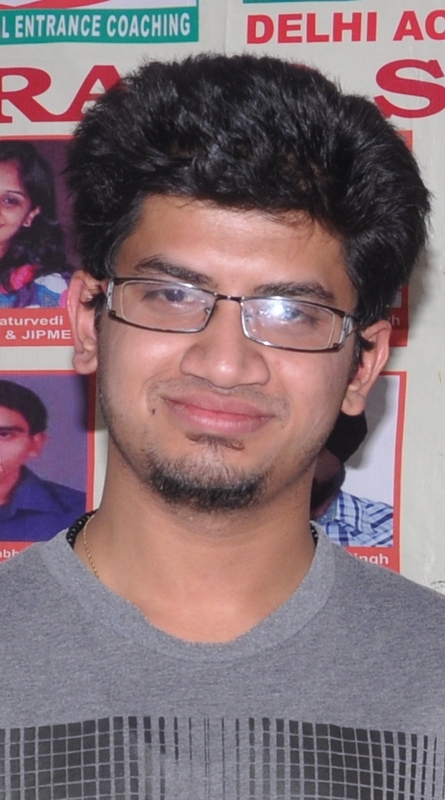 Dr.Tuhin Mitra: Extensive study during MBBS, & intensive during internship. Dr.Tuhin Mitra: Multiple PG entrances are always better as you might get unwell on day of exam, & with simple exam it can be disastrous. Dr.Tuhin Mitra: 1st, 2nd Prof & Short Subjects. Dr.Tuhin Mitra: I attempted all the questions as there was only 1/10th negative marking. Dr.Tuhin Mitra: Dr.Sumer Sethi & Surgery Sir. The competition is very tough, so it is better to start early. I joined in pre final yr only, the foundation course. Having notes for short subjects is of enormous importance. Dr.Sourabh Malhotra: Believe in GOD, Family & My Love. Dr.Sourabh Malhotra: This is for them, MINE is HARDWORK & Prayers are of them. Dr.Sourabh Malhotra: Its a dream to become Doctor, so follow my dream & its come true. Dr.Sourabh Malhotra: In life many hard period come, many times you fail, but all thats a part, it not doubting your ability, it doubting about your faith & luck. Dr.Sourabh Malhotra: DAMS Notes are awesome (class notes), just got short subjects from notes, surgery, medicine, AA, Physio notes+Across, Biochem Notes+Across, Radio handbook of Radio. Dr.Sourabh Malhotra: As far as DNB is concern, whole paper pattern is different from All India or AIIMS, Single times, factual questions, so I had made my notes. I read for DNB & also subjects Physio, Anatomy, Biochem as forming main bulk of 180 questions. Dr.Sourabh Malhotra: Plays a very important role for guidance, & classroom notes. They are so very helpful. Dr.Sourabh Malhotra: I cannot decide any pattern for anyone, all brains are different, so its all depends on “U” to choose the best way. There are different “BEST” ways for “ONE GOAL” (SELECTION). Dr.Sourabh Malhotra: Appearing in Multiple PG exams is not Bad, if you are performing well, it boost up your confidence, but important is take every single exam as a COMPETITION’ as give your best thats important. Dr.Sourabh Malhotra: For DNB I focused for 1st yr subjects, as they carry good wattage & also past year questions of DNB. Dr.Sourabh Malhotra: On exam day all strategy fails, so be calm. I just give the exam, that all. I had attempted 178 questions left 2. as “negative scoring is less”. Dr.Sourabh Malhotra: Want to specialize in Radiodignosis. Dr.Sourabh Malhotra: Whole faculty of DAMS is very influential. GT-110 .Printing Mistake 1 to 7 Que & Ans.